Gingko Audio is excited to announce the new Cloud 12 vibration control platform, designed specially for the VPI Super Scoutmaster and Aries 3 turntables. Model 12S is for the Super Scoutmaster and model 12A is for the Aries 3. This new 2-piece design is based on the popular Cloud 10 and Cloud 11 and features a separate platform for the motor, further isolating motor noise from the plinth. It will fit the flywheel motor of the Aries 3 as well. If you have the new Rim Drive, we recommend using the 1-piece Medium Cloud 11, as the Rim Drive will push against the suspended plinth platform of the Cloud 12S, making it move sideways. The new SST table top cover is designed to fit over the Medium Cloud 11. 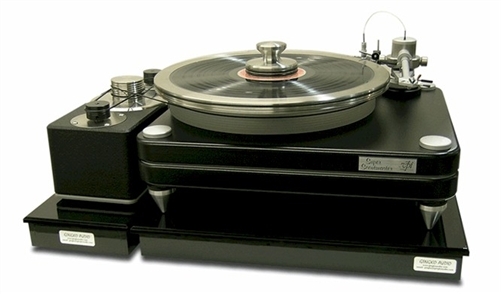 The Cloud 12 takes the Gingko Cloud performance to a new level, guaranteed to improve the sound of your VPI Super Scoutmaster and Aries 3, or your money back.